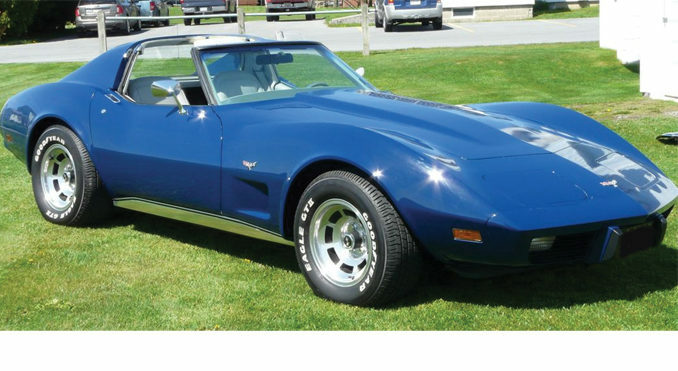 1975 Corvette Coupe For Sale! 53,000 orig. miles., Orig Motor and Trans. 350 cu. in. ported and polished, Automatic. Nassau blue/original black leather interior. ‘82 factory Vette mags and glass panel roofs included as well as orig. body roof panels rims. Original factory wood grain console, doors and very rare factory wooden shifter knob. Factory black leather seats. Always garaged in heated garage and oil changed every 1000 miles. Most Corvettes from this time do not have these options, especially air conditioning. Nice cruising car, extremely fast and powerful. I will detail any work needed.